For some, it's probably a small thing having an unused utility pole still standing when it's no longer necessary. 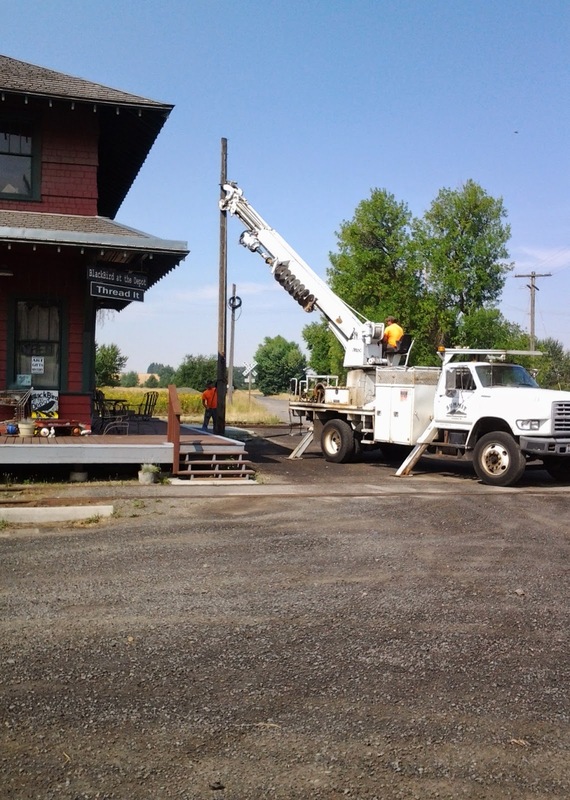 In the case of said pole, it's been blocking progress at the depot because of its location, right in the way of the second story window we hope to use for unloading sheetrock. Today the pole came down! Thank you, Frontier-hired contractors. Now a boom truck can unload the heavier materials right where they belong and more work can start on the second floor. Not that anyone is over-anxious about working in the 90-degree-plus heat! 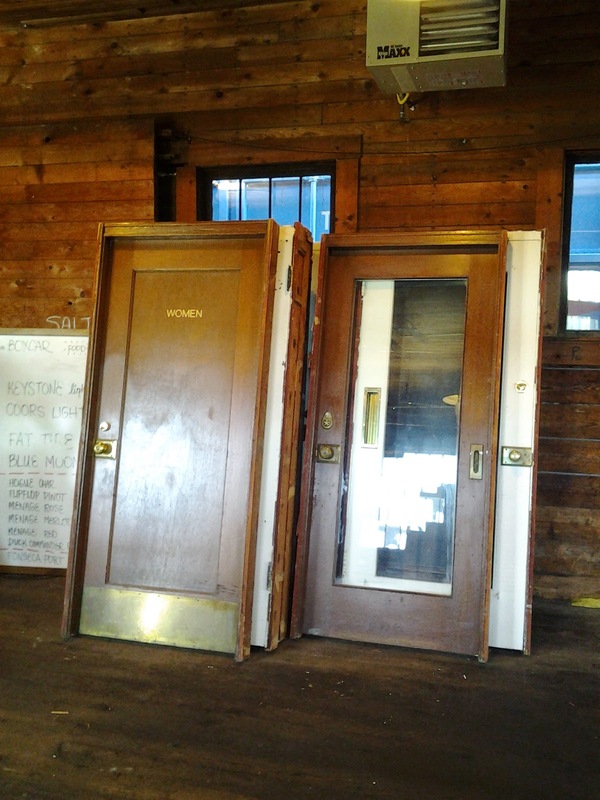 And speaking of work, here's another look (picture below) at those gorgeous doors Jim West hauled over from Portland last week. 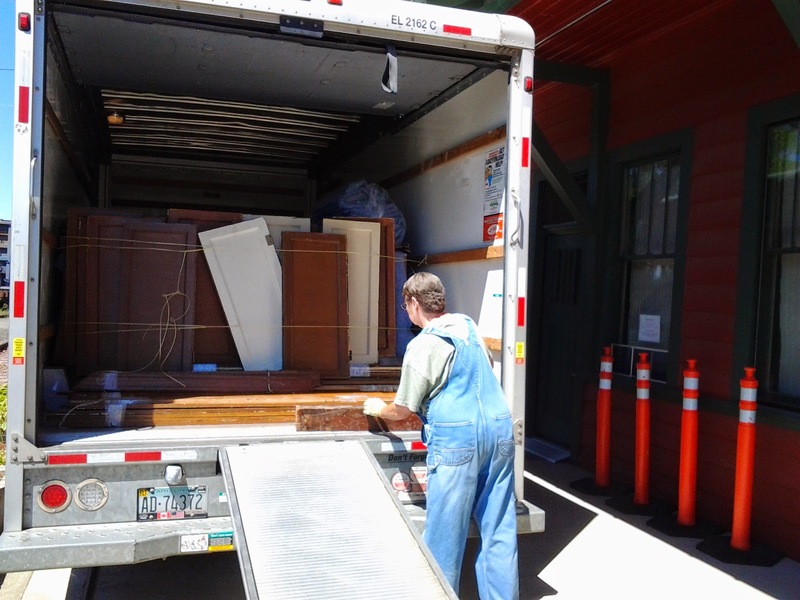 Thanks to Bob Behal, Barb West, Mike West, Hal VandeVord and Jim West for doing the job of carting all the materials out of the U-Haul. The bottom picture shows Barb doing some of the heavy lifting, which she often does! And thanks Karen Rohn for snapping the pictures and helping too!